UNI's closed captioning team needs an MP4 video file to close caption. If you don't have the original MP4 file, you can download one from Panopto. We usually have people share the MP4 file in Google Drive. After we have close captioned your video, we send you a file (.srt) to upload to Panopto. Instructions for that are further down this page. 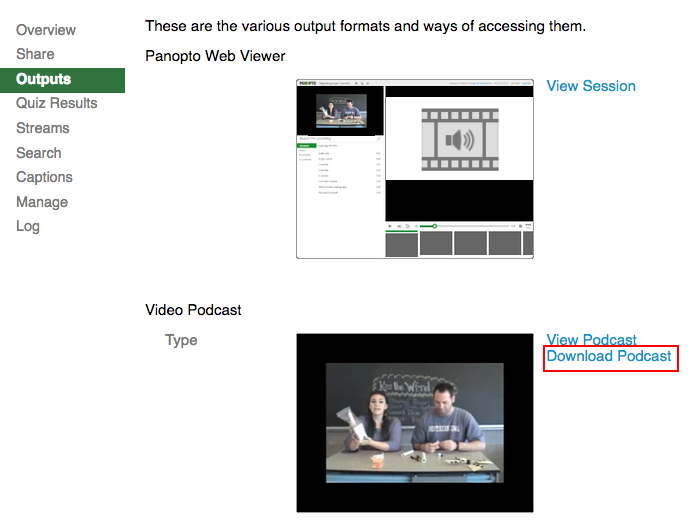 Go to your folder in Panopto and find the video you want to download. 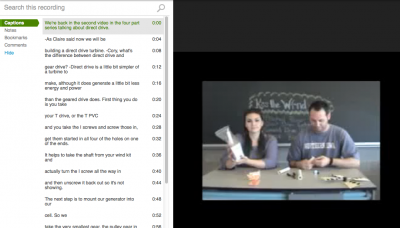 Hover over the title/link to your video and choose "Settings"
In the left column in the next screen, choose "Outputs". Hover over the link/title for your caption file and choose Settings. In the following screen, go to the left column menu and choose "Captions". Browse for your caption file (.srt) and upload it.